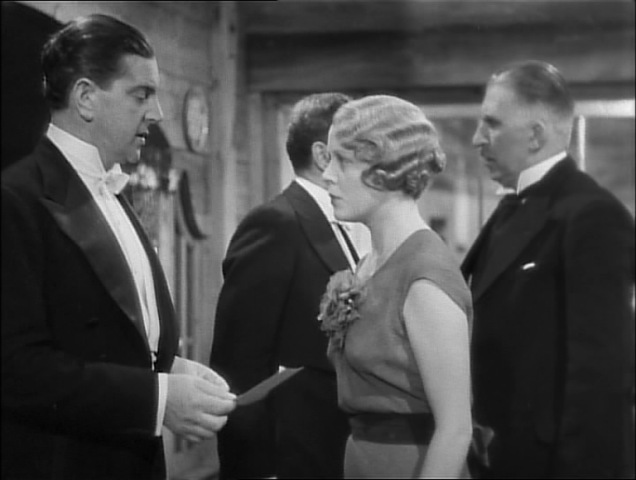 In 1933, famous but without a contract, Hitchcock reached what he would later call “my lowest ebb,” directing Waltzes from Vienna for an independent producer associated with the A-list branch of his old studio: Gaumont-British (G-B). It was a light-hearted musical about the love-life of Johann Strauss Jr. and his composition of “The Blue Danube.” The film is today as rare as Hitchcock’s 4th film, Downhill, and has only been released on DVD in Europe, so it will have to be passed over. Gaumont-British was now under new ownership, but Hitchcock’s old friend and champion, Michael Balcon, was still in charge of the management. The two ran into each other on the set of Waltzes from Vienna, and Balcon discovered that Hitch had no further projects lined up. Initially awkward upon encountering Balcon, Hitch soon warmed up and told him about a thriller he had been developing for BIP before it had been killed for financial reasons. 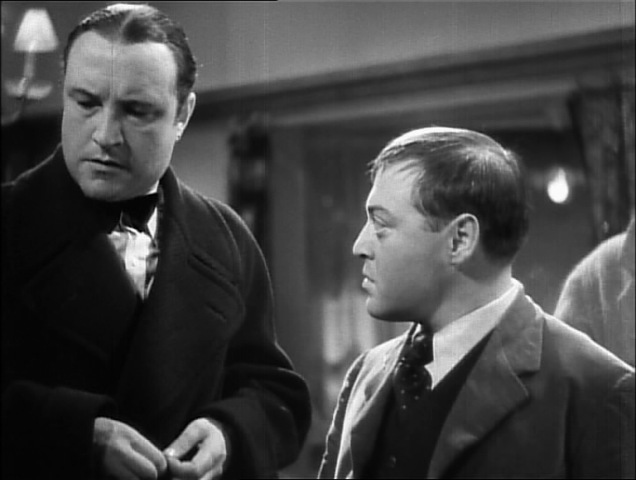 When Balcon expressed interest, Hitchcock immediately bought the rights back from BIP and sold them to Balcon for twice the amount (guilt later prompted him to buy Balcon a gift with the profits). On the strength of the idea, Hitch was signed to a five-year contract with G-B. It was a deal which would ultimately turn him into a global sensation, and cement his reputation permanently. 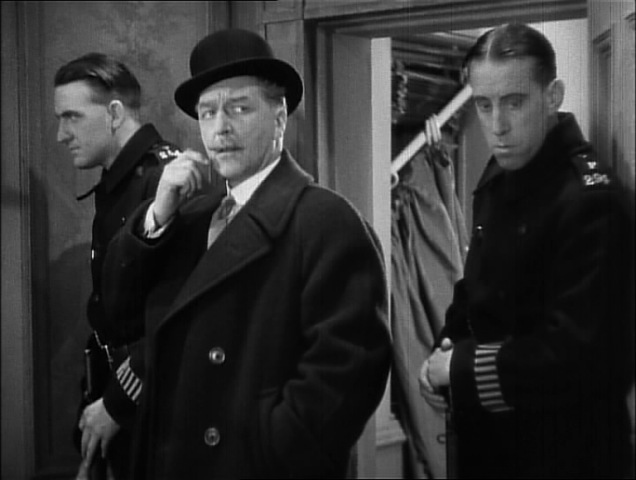 The first of his films for Balcon was originally titled Bulldog Drummond’s Baby, and it was to be the latest in a series featuring war-veteran-turned-private-detective “Bulldog” Drummond. 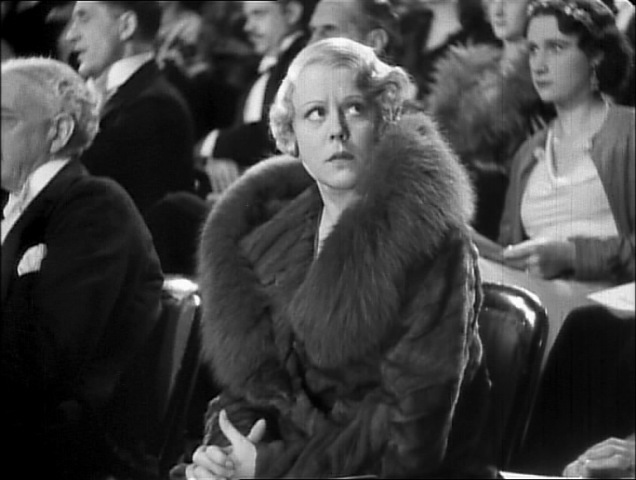 However, BIP owned the rights to the character, so when Hitch jumped ship, the project developed into something completely different, and probably much better: The Man Who Knew Too Much. 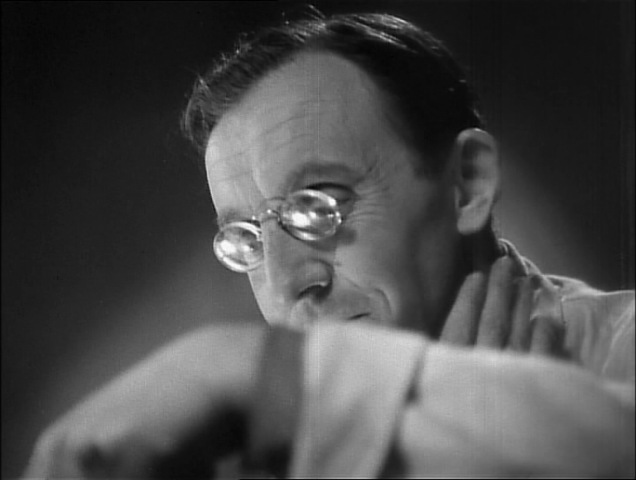 Charles Bennett, who had written the play Blackmail a few years earlier, wrote the screenplay. He would be a frequent collaborator with Hitch during the remainder of his British period. 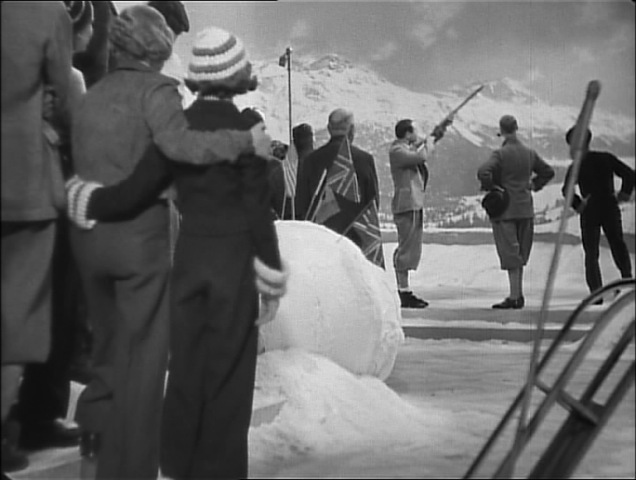 In the movie, a small British family (husband, wife and daughter, just like Hitchcock’s) is vacationing at a ski resort in Switzerland, where they befriend a Frenchman named Louis Bernard. When Bernard is assassinated while he dances with the wife, he whispers a message to her that could have an enormous impact on the future of Europe. Before husband and wife can tell the British authorities what they know, their daughter is kidnapped and they are warned to stay silent if they ever want to see her again. With this film, Hitch continued to develop the idea of the MacGuffin, in this case making it a vague assassination plot amidst an indistinct landscape of espionage and international politics. The audience is never sure why the assassination is significant, or who is really behind it, but with ominous references to Archduke Ferdinand and the general atmosphere of unrest in Europe after Hitler’s rise to power in 1933, they don’t need to. 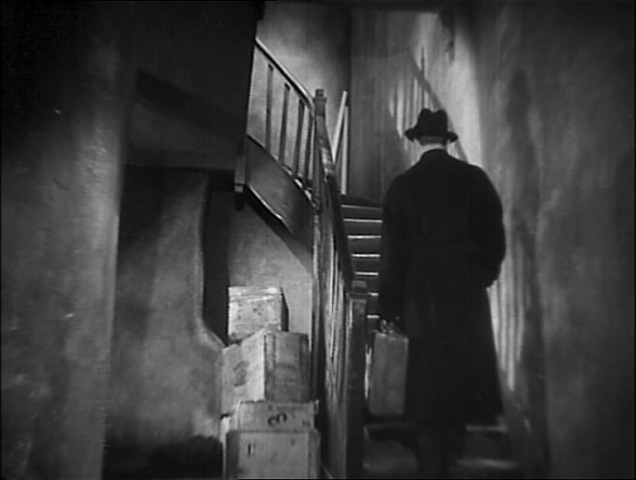 Hitchcock had been influenced early in his career by the expressionist visual style of German filmmakers, and had been among the first to experiment with expressionist sound in 1929’s Blackmail. This was expressionist storytelling. The birth of Nazi Germany didn’t only have an effect on the development of the story. 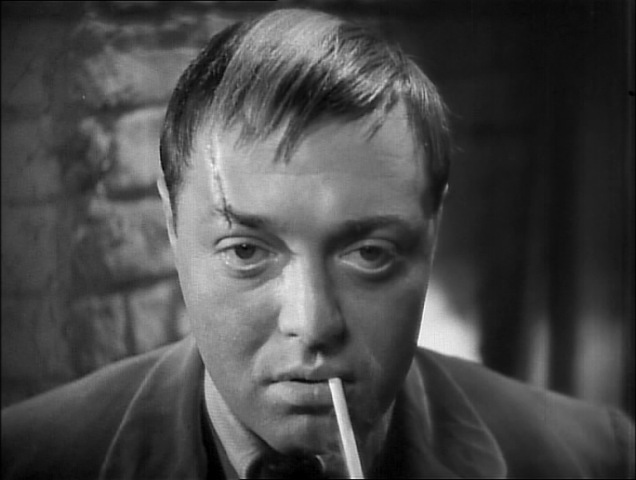 Peter Lorre, a Hungarian Jew, had achieved international cinematic fame as a notorious child-killer in Fritz Lang’s M (1931). 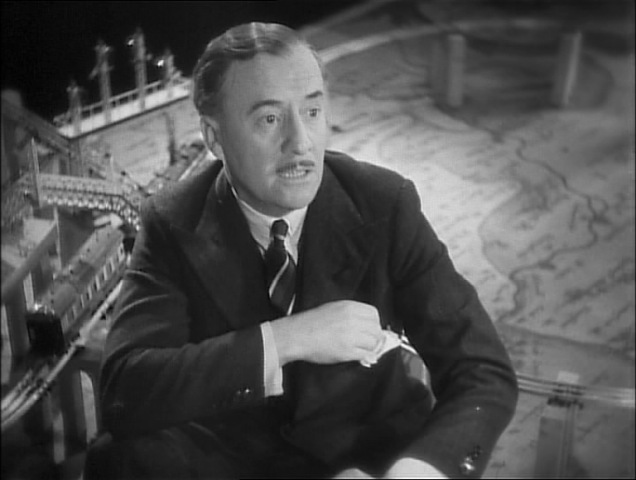 When Hitler became Chancellor of Germany, Lorre fled the country, eventually ending up in London, where he was soon cast as Abbott, the charming villain in Hitchcock’s latest film. 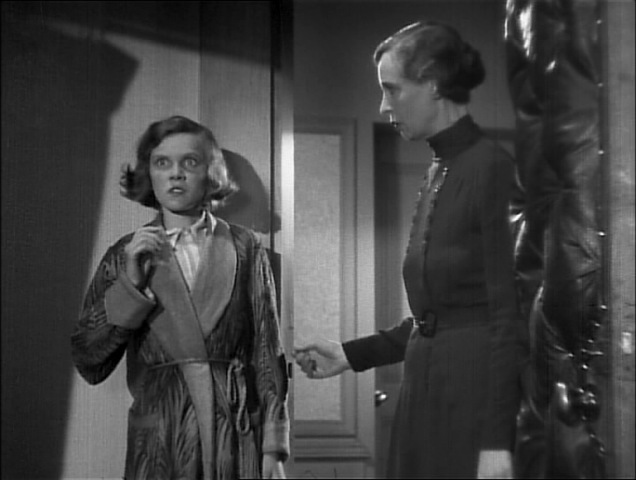 Leslie Banks would play Lawrence, the protagonist, with Edna Best as his wife Jill and a celebrated young actress, Nova Pilbeam, as their teenage daughter Betty. Not only was The Man Who Knew Too Much Lorre’s first English-language film, he knew almost nothing of the language before shooting began, learning most of his part phonetically. Hitchcock had no idea that this was the case when they first met, and Lorre bluffed his way through the conversation by smiling, nodding, saying “yes” and laughing uproariously whenever he thought Hitch had just finished a story. The film begins with an assortment of Swiss travel brochures before cutting to a beautiful scenic shot which it lays the credits over. 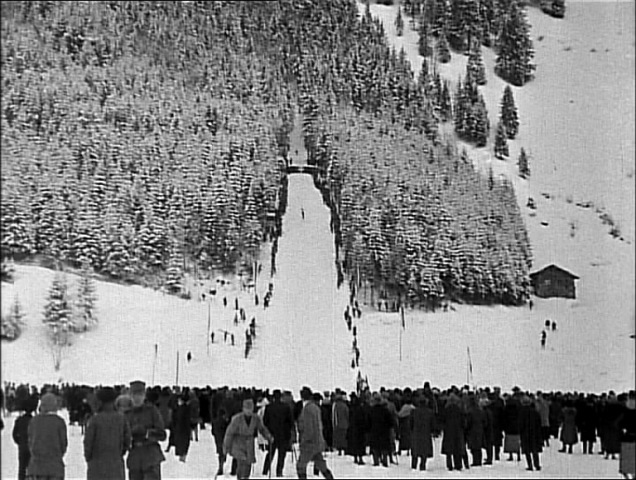 The film proper opens on a ski slope. 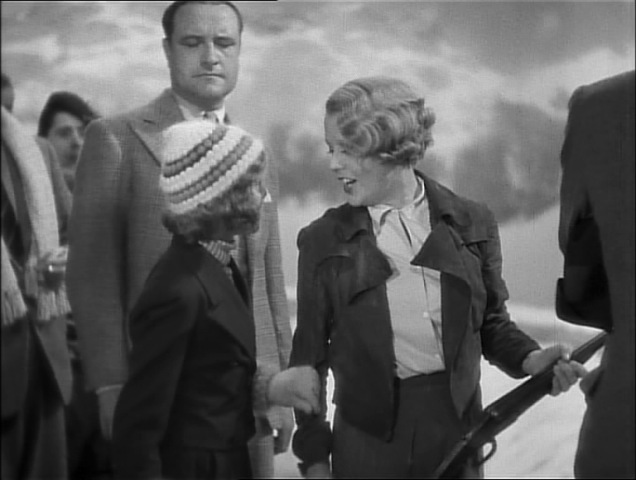 Lawrence and Betty are watching Louis Bernard perform a jump when Betty’s dachshund wriggles loose from her arms and runs out into the middle of the course. 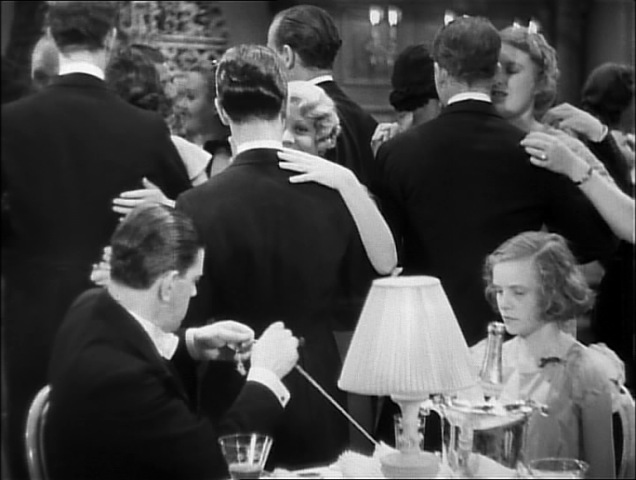 Betty dashes after it, prompting Bernard to swerve out of control and tumble into the midst of the crowd. It is the beginning of a recurring motif of the family blundering into the midst of events where they do not rightly belong. After he picks himself up and apologizes to Abbott, the good-natured foreigner that he plowed into, Bernard returns to the lodge with Lawrence and Betty. He tells them that he is leaving on the following day. At the lodge, they find Lawrence’s wife Jill, a sharpshooter, engaged in a shooting match with Ramon, another guest. Betty, ignoring the need for silence, runs up to her mother to ask her a question. Jill gives her a small lapel pin and tells her to step back and be quiet. Each shooter has one remaining shot, but Jill spoils her mother’s aim by making noise. In actuality, the noise is Abbott’s fault. He shows her his gently-chiming Swiss watch at the crucial moment. 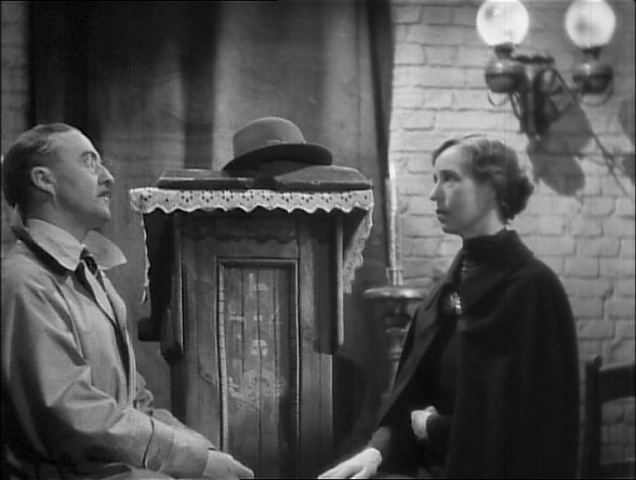 The noise made by the watch is immediately associated with this character, who will later be revealed as the villain. 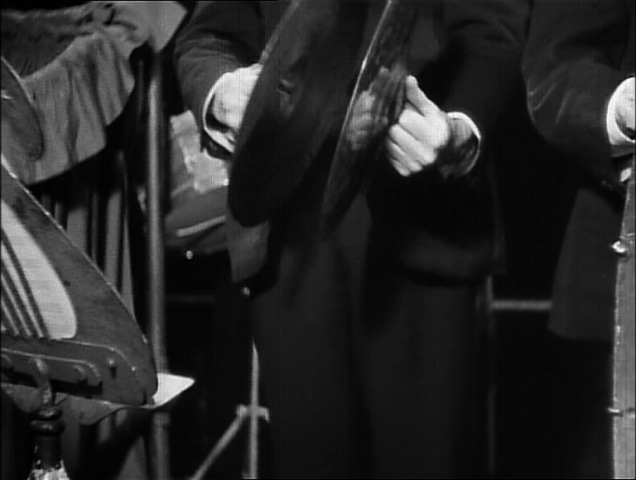 It is quite possible that Hitch intended the sound association as a sly reference to Lorre’s character in M, whose presence was announced throughout the film by his continuous whistling of a particular tune. In any case, Jill is upset, particularly when Ramon hits his target, although both are good sports and express a desire to have a rematch someday. Jill cheers up when she sees Bernard. She makes a great show of preferring him to her husband, who makes a great show of being broken-hearted, and they all trot laughingly inside. That night, Jill dances with Bernard and taunts her husband further as he sits at the table with Betty. Jill’s unfinished knitting project lies on the table, and Lawrence mischievously attaches the end of the yarn to the back of Bernard’s jacket. As the couple dances away from the table, the knitting unravels, stretching the yarn across the room after them. Although the situation is humorous, it is also full of symbolic portent. As though it is the thread of Bernard’s life, the line wraps itself around Jill, sucking her into whatever he is involved in. 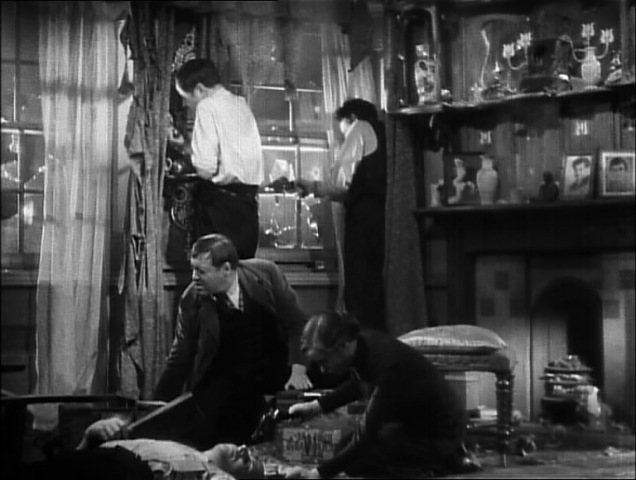 Just as they notice the attached yarn, a small hole appears in the window near where they are dancing, and Bernard looks down at his chest, where a pool of blood is forming. He has been shot, and the thread of his life has been cut. 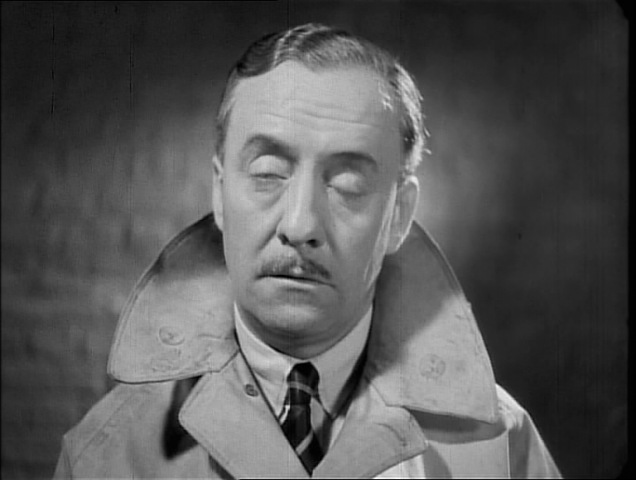 The upshot of all this is that, while Jill is being interrogated by the police and Lawrence is attempting to ascertain the whereabouts of the British consul, Ramon kidnaps Betty. He leaves behind a note for her parents at the hotel, warning them to say nothing of what they know if they ever want to see their daughter again. Lawrence bursts in on Jill’s interrogation, shows her the note, then quickly crumples it up and throws it into the fire before anyone else can see it. 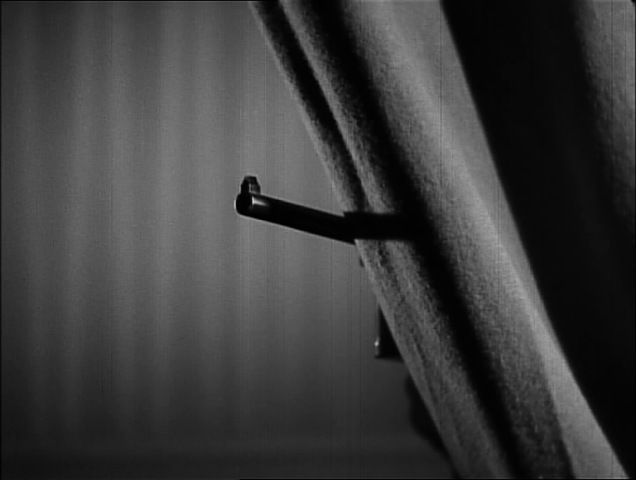 The scene cuts to a close-up shot of Betty’s lapel pin, given to her earlier by her mother, before zooming out to show her being whisked away into the night aboard a jingling sleigh driven by Ramon. A fadeout transitions us from the natural beauty of the snow-covered alps to the man-made neon chaos of Piccadilly Circus. Lawrence and Jill have returned to England, and continue to say nothing about events in Switzerland. They are visited at home by a few men from the police. Lawrence fields their probing questions while Jill paces nervously in Betty’s playroom upstairs. 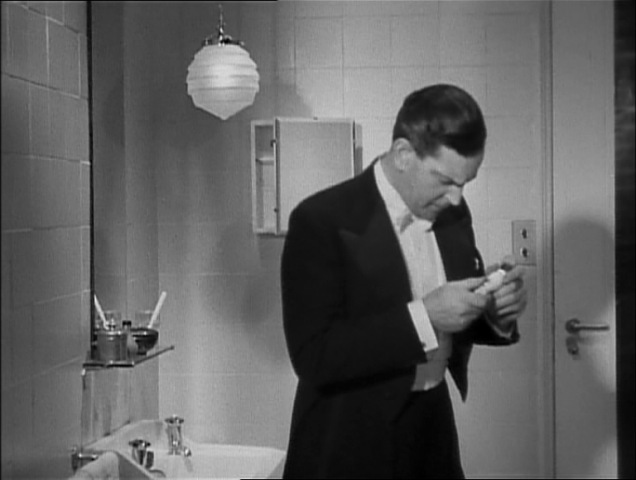 Keeping her company is Clive (Hugh Wakefield), whose precise relationship to the family is never revealed. He is either a close family friend or, more likely, Betty’s uncle. His role in the story is that of moderately-useful comic relief. In an amusing visual nod to Hitchcock’s previous film, Clive is playing with a model train. Finally, the policeman leaves, but one of the men with him stays behind. This fellow, Gibson (George Curzon), has a much higher position in government, and when Jill comes downstairs he pressures both parents to tell the truth for the good of their country. 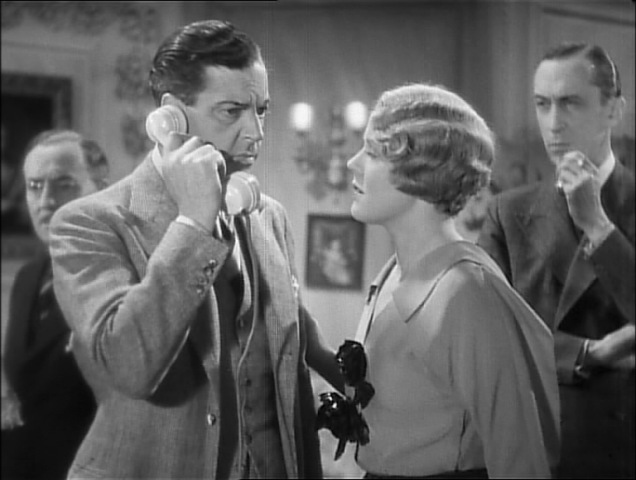 They refuse to cooperate for fear of reprisal, but Gibson is still there when Betty’s kidnappers call to make sure her parents are keeping their mouths shut. 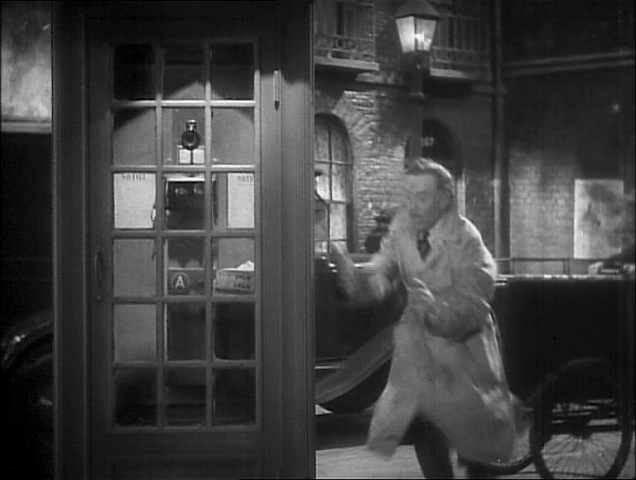 As soon as they hang up, Gibson immediately has the call traced and discovers that it originated in Wapping. Lawrence immediately remembers the note, but says nothing as Gibson orders plain-clothes detectives out in force, then leaves. 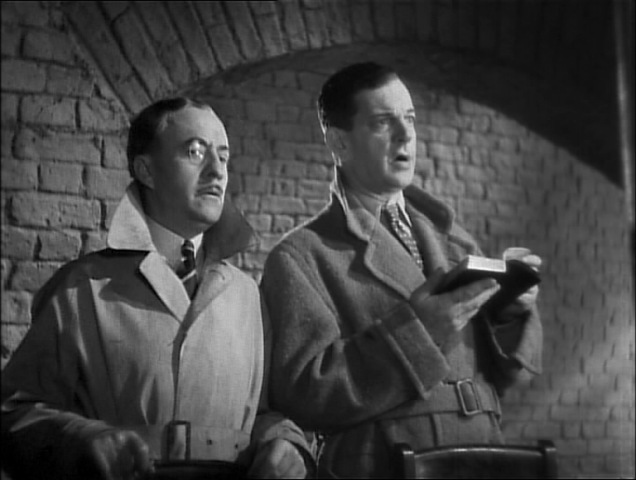 Certain that the presence of the detectives in Wapping will make the kidnappers believe they have been ratted out, Lawrence and Clive go to Wapping themselves, hoping to find Betty before anything terrible can happen. From here, the characters begin a mad dash from set piece to set piece right up to the tense climax. Each new misadventure manages to walk a surreal balance between the farcical and the darkly sinister. 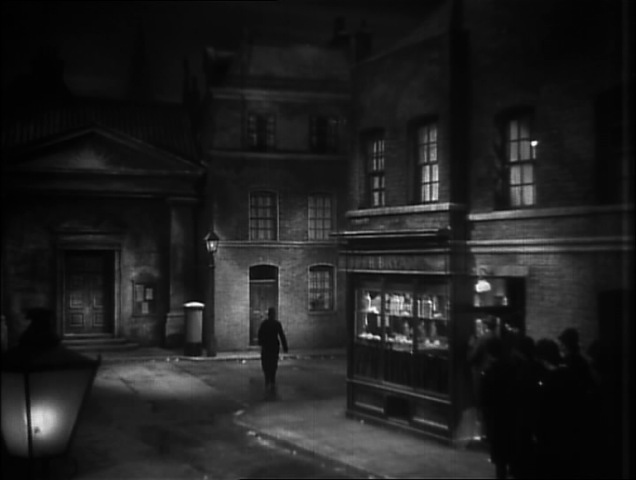 Soon after arriving in Wapping, Clive and Lawrence find the offices of a dentist named George Barbor (another name from the note). 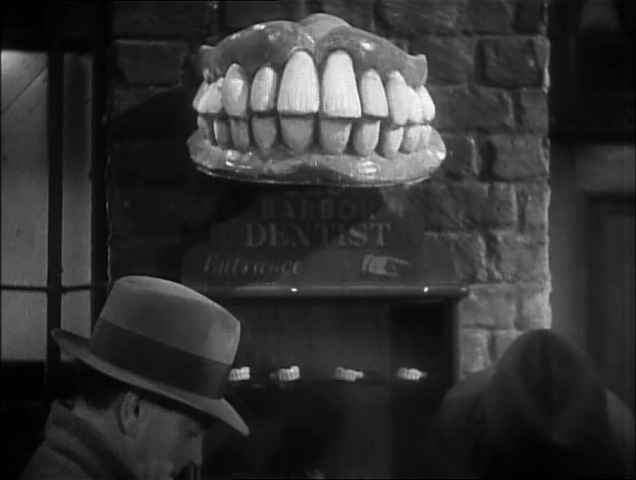 Hung above the door is perhaps the most frightening pair of over-sized dentures ever captured on film, and surely only a British dentist would advertise using a set of teeth that have such a monstrous overbite. In any case, the two step inside and walk up the dingy, narrow staircase leading to the offices above. Lawrence sends Clive in to gave his “toothache” attended to by Dr. Barbor (whose grim demeanor, hooked nose and thick glasses are as unsettling as one might expect) while he searches the waiting room for clues. As he searches, a frightful yowl emerges from the other room, startling Lawrence into whipping a small revolver out of his coat pocket before he recognizes it as a noise one might expect to hear at the dentist’s. Soon, Clive emerges once more, nursing a sore jaw. Lawrence, having discovered nothing, also claims a toothache and proceeds into the inner room. 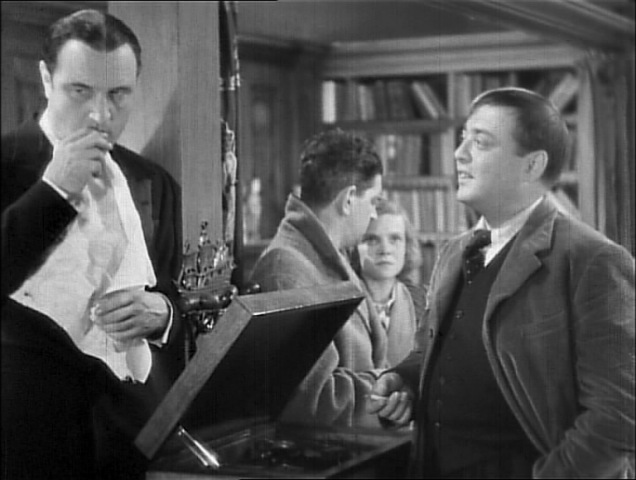 The ensuing scene (which was originally intended to take place in a barber shop, until Hitchcock saw a scene just like it in I Am A Fugitive From A Chain Gang) is a spine-tingling example of sustained suspense. Barbor gets Lawrence into the chair and peers into his mouth. 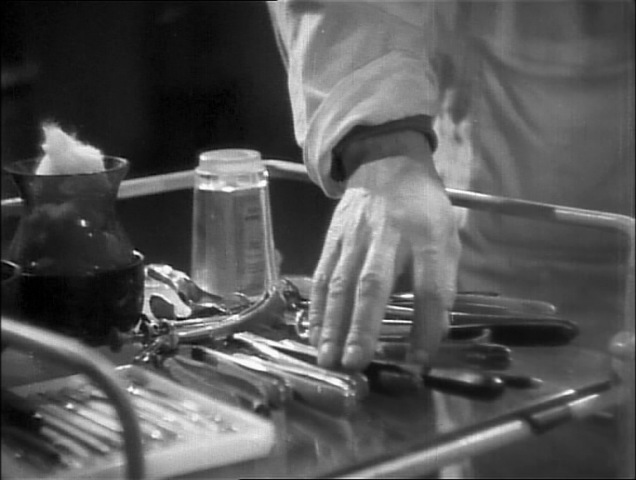 The camera gives us an uncomfortable close-up of a tray full of the wicked-looking implements of dentistry as Barbor’s hand slides across them in search of just the right one. Just as he is about to begin poking around inside, someone comes in and Lawrence recognizes the distinctive chime of a certain Swiss watch. It is Abbott, who asks if someone has arrived before wandering into the next room. 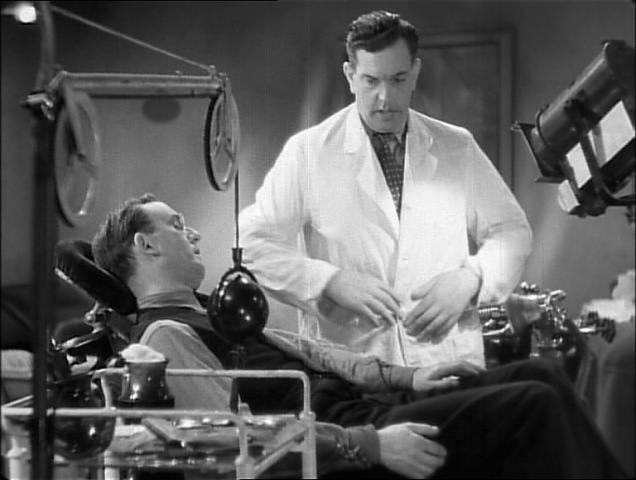 The dentist begins to question Lawrence, who is pretending to be fresh off a ship. 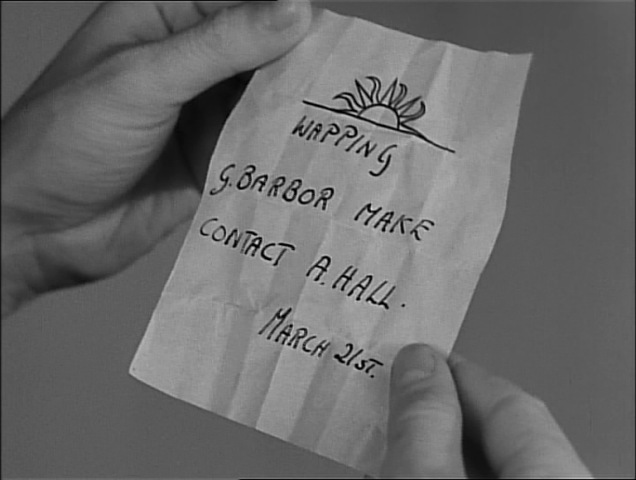 Unfortunately for Lawrence, Barbor is very knowledgeable about crews and shipping schedules, and very suspicious. 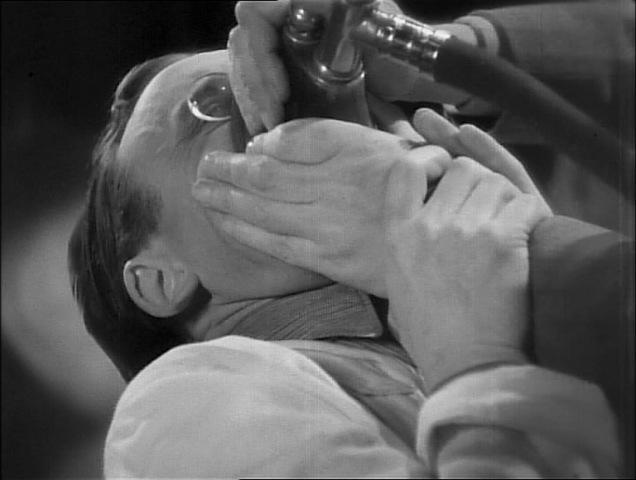 He catches Lawrence in a few lies as he probes his mouth with a sharp tool. 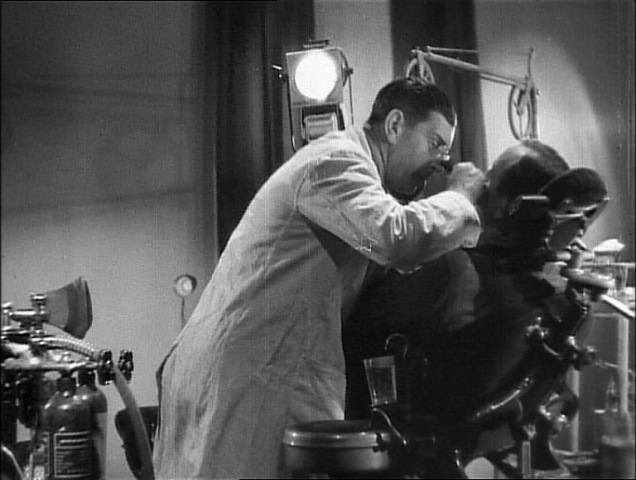 Finally, Barbor proclaims that Lawrence’s teeth are quite healthy, and he is just about to get out of the chair when the dentist claims to spot a tooth that “had better come out.” He forces Lawrence back into the chair and tries to gas him, but Lawrence reaches out and begins to strangle him. He wrestles the dentist around into the chair and knocks him out with his own gas instead. Hearing someone coming up the stairs, Lawrence quickly puts on the unconscious dentist’s coat and glasses and aims the bright light at the door. Just as he bends over his “patient,” Ramon walks in the door. “Has he come?” he asks, and Lawrence points to the door Abbott just walked through. Just then, Abbott comes out and the two have a brief discussion, wherein they hint that they are going to the place where Betty is hidden. As soon as they mention his daughter, Lawrence, startled, drops something on the floor, but the other two don’t seem to notice. 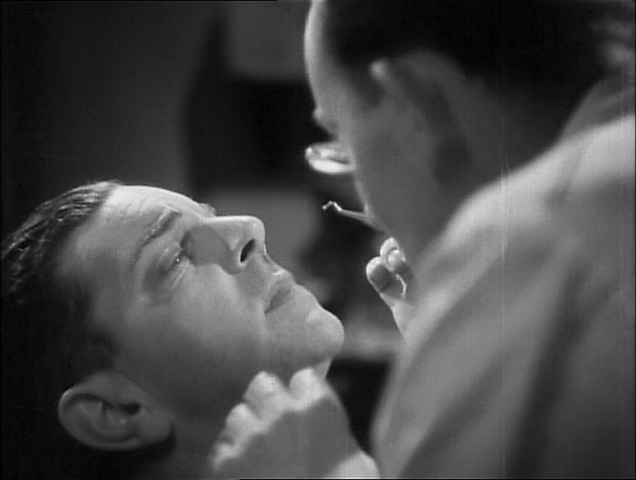 Once they are gone, Lawrence strips off the white coat and glasses, pausing to gas the stirring dentist one last time, then dashes out to collect Clive. 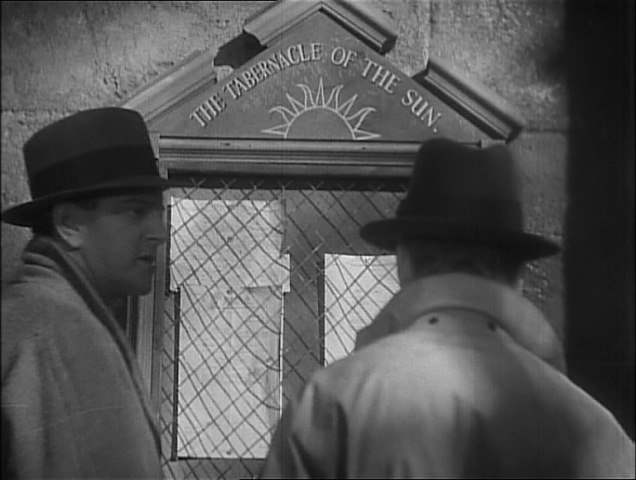 The two follow Ramon and Abbott at a safe distance until they duck into “The Tabernacle of the Sun.” Lawrence notices the symbol of the rising sun over the door, and remembers seeing the same symbol at the top of the message from Bernard’s shaving brush. Stepping inside, they find the worship service of some sort of sun cult already underway, and slip into seats in the back corner of the room. The congregation is singing a hymn, which they obviously don’t know the words to. 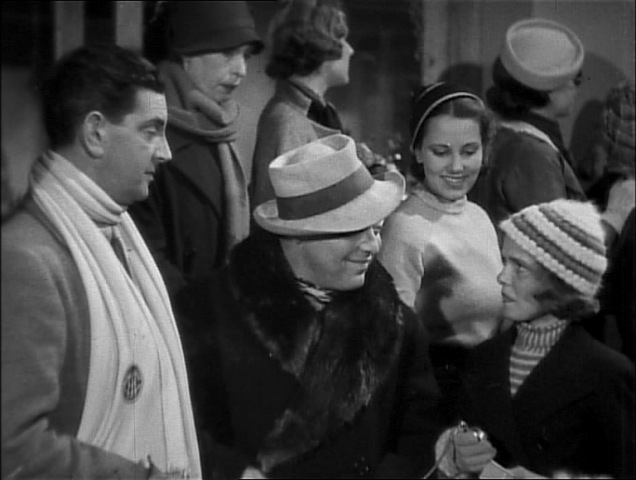 However, Lawrence, spotting a woman across the aisle that he recognizes from Switzerland, sings this information to Clive in tune with the music. They go back and forth this way for a few seconds, then find that the woman, who has obviously spotted them, is headed for the front of the room, where she takes the podium. 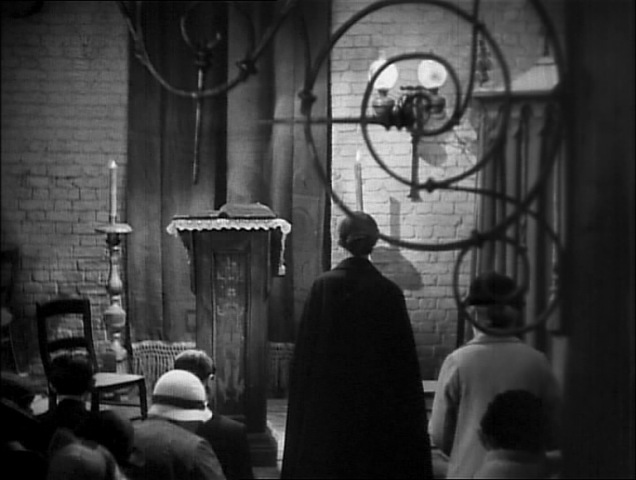 The woman addresses the congregation, using terminology like “the fourth circle” and “the seventh gold ray.” After a moment, she singles out Clive for something and asks him to come forward, where she sits him in a chair in front of the podium. Sitting across from him, she proceeds to hypnotize him, putting him deep into a trance. She then asks that everyone leave who is “not of the fourth circle.” Conveniently, this seems to apply to everyone in the room that isn’t working for Abbott. 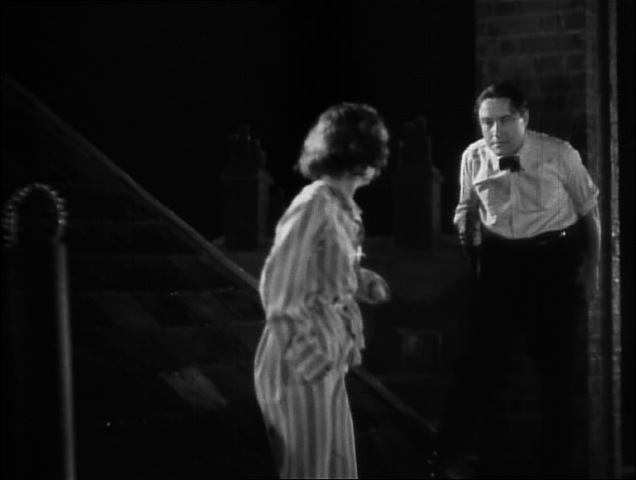 As Lawrence gets up to step out, a woman named Mrs. Sprocket and encourages him, at gunpoint, to stay behind. 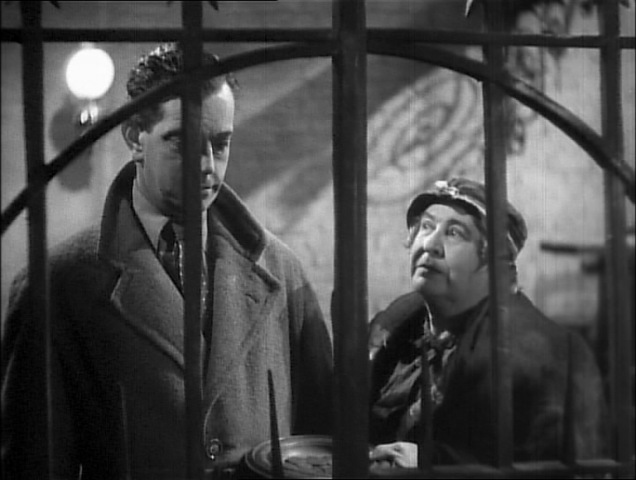 Incidentally, Mrs. Sprocket is played by an actress named Clare Greet, who had been doing bit parts in his films for years: the creepy fortune teller in The Ring (uncredited), Kate’s mother in The Manxman, and one of the three female jury members in Murder!. 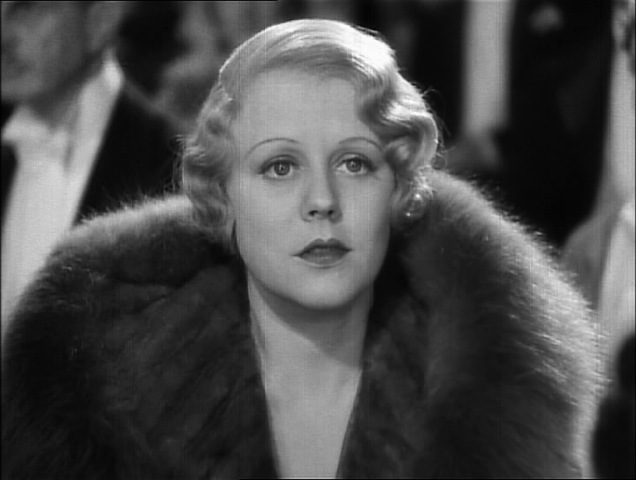 This was her largest and most memorable role to date. 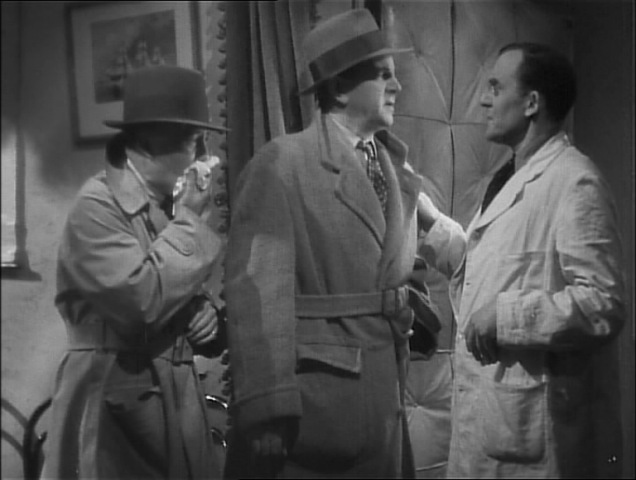 Abbott appears, offers him a cigarette, and reminds Mrs. Sprocket to collect Lawrence’s gun (his “offering”), while revealing that he knew Lawrence had switched places with the dentist. Lawrence cleverly tricks Mrs. Sprocket into revealing that his daughter is somewhere on the premises, then smashes Ramon’s gun out of his hand as he tries to get past. There are several enemies present, but they are afraid to draw the police if they shoot. 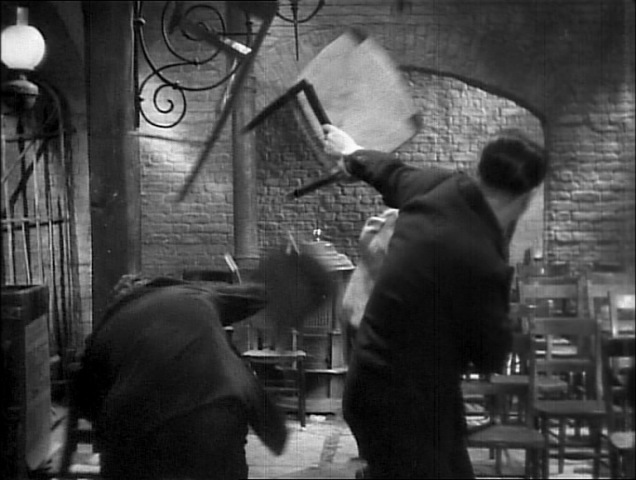 Instead, a somewhat quieter battle ensues, as Lawrence and the other men throw chairs at each other. 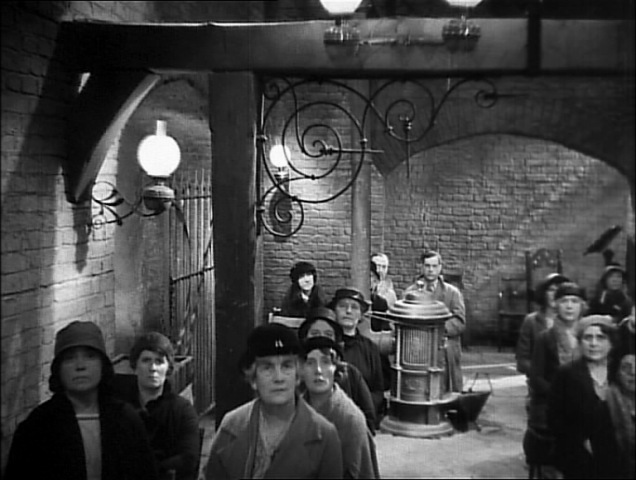 Mrs. Sprocket ascends to the organ to drown out the ruckus, and the whole scene takes on a very comical sense of menace. The situation is just so absurd. Shouting for Clive to wake up, Lawrence finally bounces a chair off of him, bringing him to his senses. Just then, Ramon sneaks around behind him and they begin to grapple. Spotting a ticket in his pocket for a concert at Albert Hall, Lawrence remembers the “A. Hall” of the secret message, and shouts to Clive to phone Jill and tell her to go there. With Lawrence covering his escape, Clive makes it out through the window just as the other man is finally subdued. Abbott, clearly annoyed, instructs an underling to call Jill and warn her that her daughter will be killed if she goes to Albert Hall. Meanwhile, Lawrence is muscled upstairs. Clive’s call to Jill gets through first, and by the time the other call arrives, she is already gone. Shortly thereafter, Clive arrives with the police, but he is no match for Abbott, and is soon hauled away for “disorderly behavior in a sacred edifice.” He won’t be back. 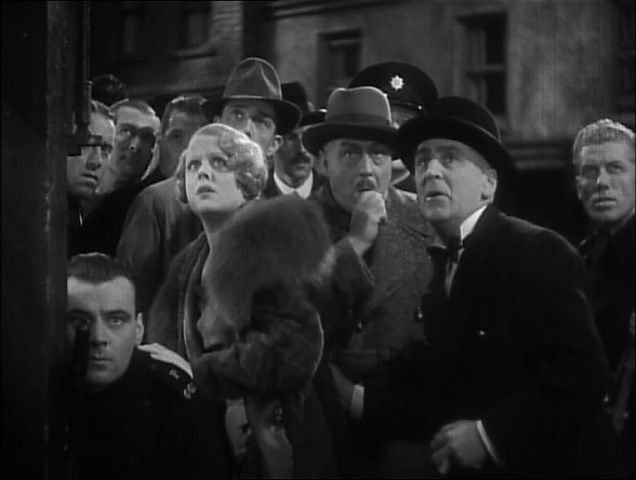 While they wait for the concert to begin, Lawrence and Betty are finally reunited, and Abbott shows Ramon the exact moment in the program when the noise of the music will mask his shot. 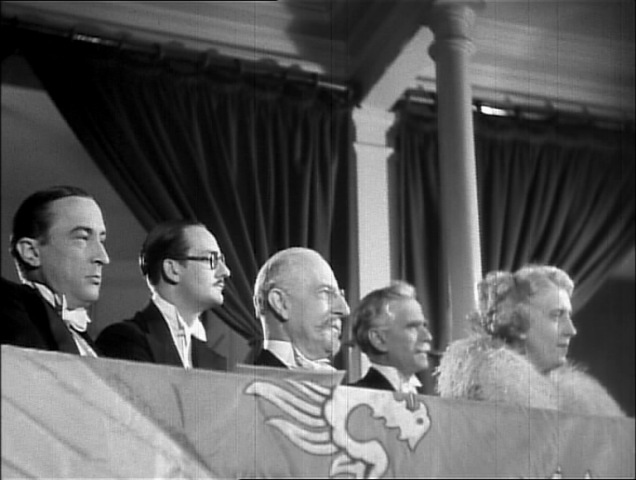 Abbott slyly remarks, “I think the composer would have appreciated that.” His observation is quite correct, as Hitchcock had the piece (entitled “Storm Clouds”) specially composed for the film by Arthur Benjamin. Ramon arrives at the Albert Hall and finds Jill already there. She spots him, too, but is not sure what to do. She takes a seat inside at ground level and looks carefully about as the music begins. The scene is magnificently suspenseful, as we are unsure at what point the assassin will be able to fire. It could be 10 minutes or 30 seconds. 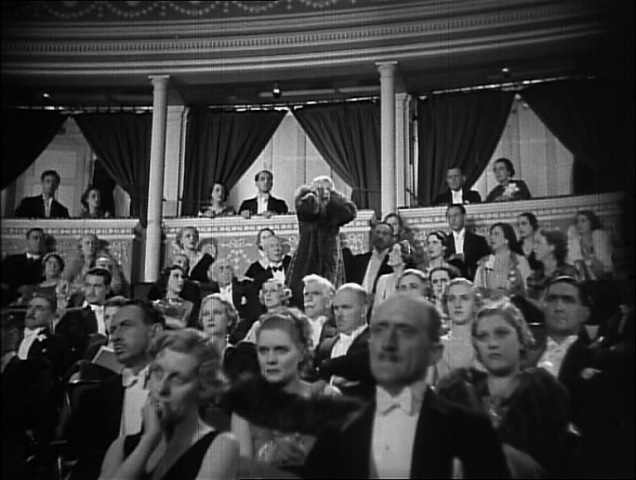 As the cantata slowly builds, Hitchcock gradually speeds up the cutting of the camera to match building tension. In addition to jumping all over the auditorium, he cuts back a few times to the spies, listening to the program on the radio. 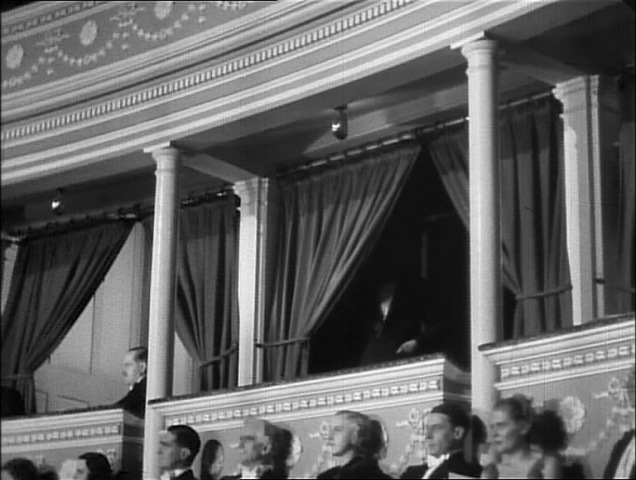 As the percussionist pulls out the giant cymbal that will mask the sound of the shot, the barrel of the gun quietly emerges from behind the curtain of a balcony box and takes aim at the foreign dignitary in another portion of the balcony. Just as the crucial crescendo comes, Jill makes the connection and leaps to her feet with a scream. It is unclear for some minutes more whether the attempt has been successful. In the meantime, Ramon dashes out the front doors and takes off in a cab, unaware that Jill has pointed him out to the authorities, who give chase. Ramon returns to the hideout just before the report comes in on the radio that the target has survived the assassination attempt. Ramon blames the noise of the scream, but is certain that no one saw him leave. Abbott, checking the window, immediately spots a few plain-clothes detectives lurking in a doorway. The spies switch off lights and prepare for a siege. Meanwhile, around the corner, a large force of policemen and an even larger crowd has gathered. One of the men is sent out to get the door open, but he is shot dead in the street. The large-scale gun battle that follows is based on an actual event known as the “Sydney Street Siege.” In 1910, a group of anarchists were holed up in a house, and the army (directed by then-Home Secretary Winston Churchill) had to be called in when the police were unable to handle the situation. 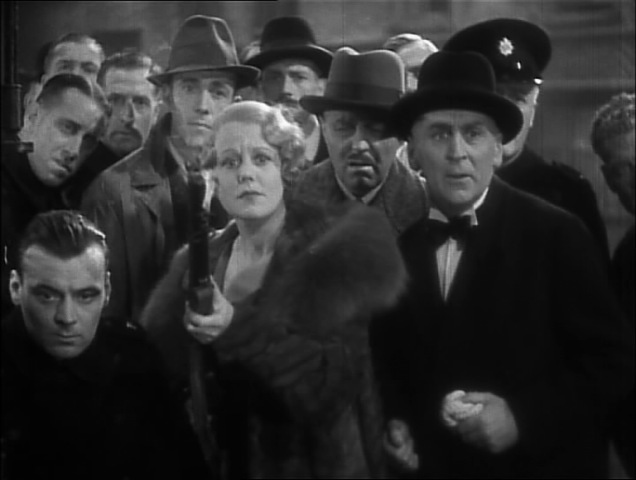 In the movie, rifles are distributed to the policeman and they take up position in various houses up and down the street. The spies are slowly overwhelmed by the superior force, dropping one by one as a force of policeman start attempting to break into the tabernacle. The bar-like shadows cast by the window frame emphasizes the trapped and hopeless nature of their situation. 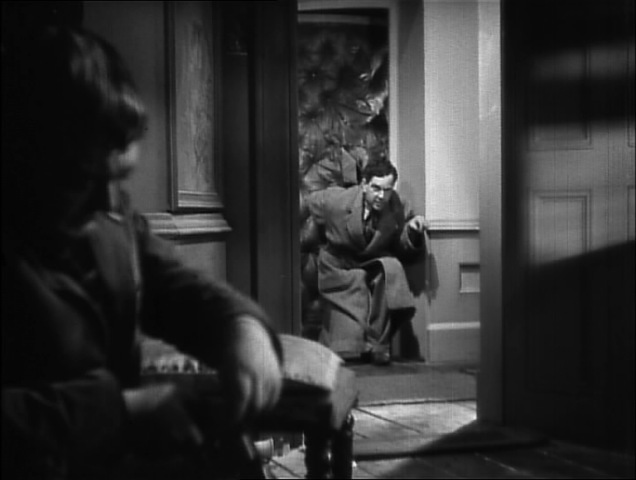 In the confusion, Lawrence sneaks out of the room he is in, past the open doorway of the room where Abbott is reloading his gun, and gets over to where Betty is being held just in time to escape the notice of the woman coming back with more ammunition. A few seconds after she re-enters the room, she is shot, a loss which Abbott obviously feels very keenly. Eventually, only he and Ramon are left. Ramon goes to get Betty so he can use her as a hostage to escape, while Abbot remains at the window. Ramon comes out into the stairwell just in time to see Lawrence helping Betty up onto the roof. 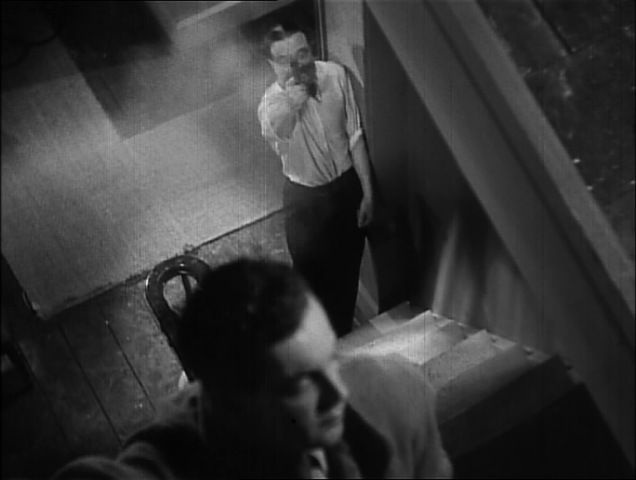 He shoots, and Lawrence drops through the banister and collapses on the next level down, wounded but not dead. Ramon chases Betty out along the edge of the sloped roof and into full view of the crowd below. 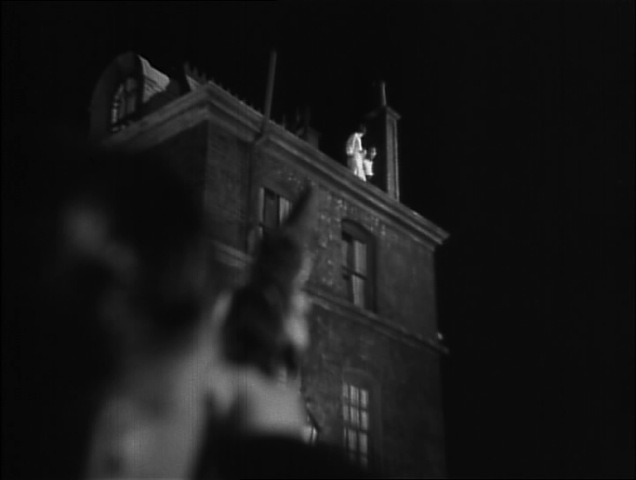 As they edge slowly out, three or four stories in the air, the police sharpshooter attempts to take aim, but won’t fire for fear of hitting the girl. Instead, Jill takes the gun from him and fires, plugging Ramon squarely. 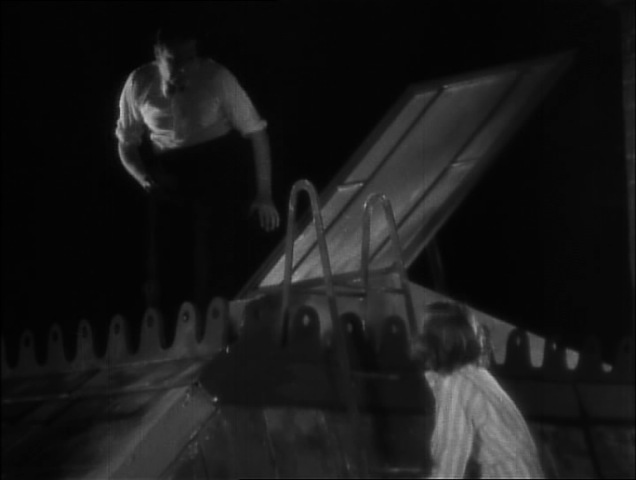 He topples over the edge, leaving Betty relatively safe. The police finally manage to burst inside and rush up to tend to Lawrence, help Betty off the roof, and smoke out any remaining baddies. Abbott, the only one left, is hiding behind a door, but his chiming watch gives him away and the police fire through the door, killing him. Meanwhile, a traumatized Betty is delivered back into the hands of her waiting parents at last. The Man Who Knew Too Much takes a little while to really get going, but once it does it never lets up. 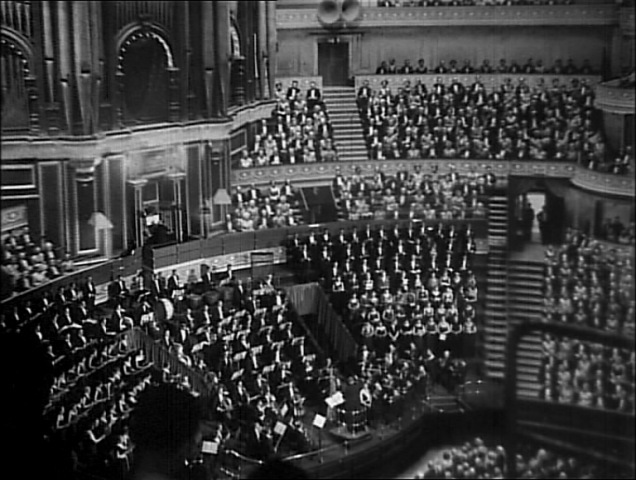 There is an excellent progression and symmetry to the development of the film, as it moves gradually from the open, outdoor expanse of the Alps, into the district of Wapping, to Albert Hall (a crackerjack scene, as good as anything Hitchcock ever did) and finally into a stifling gun battle in the midst of a tight, claustrophobic warren of adjacent buildings. 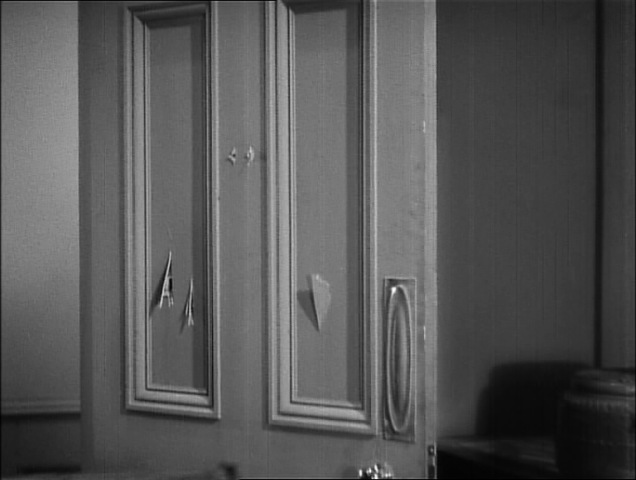 The early shooting match between the mother and the assassin has its mirror image in the climax. What was initially a friendly competition of firing at clay pigeons becomes much more sinister and deadly. Just as Jill’s daughter disrupted her shot, Jill’s scream disrupts Ramon’s shot. And, with everything on the line, she claims victory by killing him with her child at stake. The visual imagery of the beginning and end are symmetrical as well, moving from the ski slope to the slope of the steep rooftop. 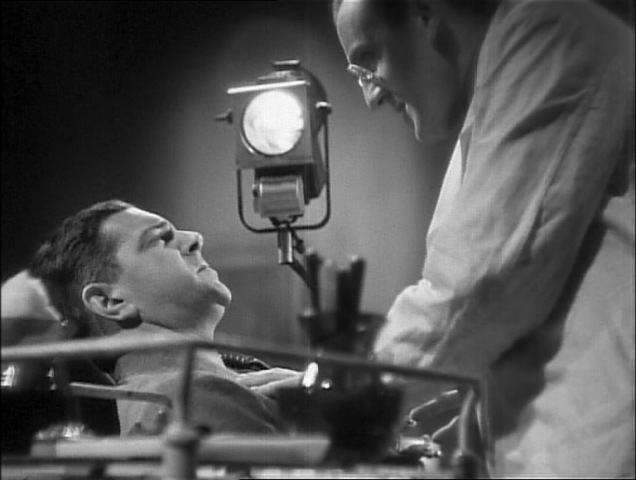 After a few false starts (most notably The Lodger and Blackmail), Hitchcock had definitively arrived as a director of thrilling suspense films. The Man Who Knew Too Much was both critically-acclaimed and wildly successful. However, the film almost didn’t see the light of day. C.M. 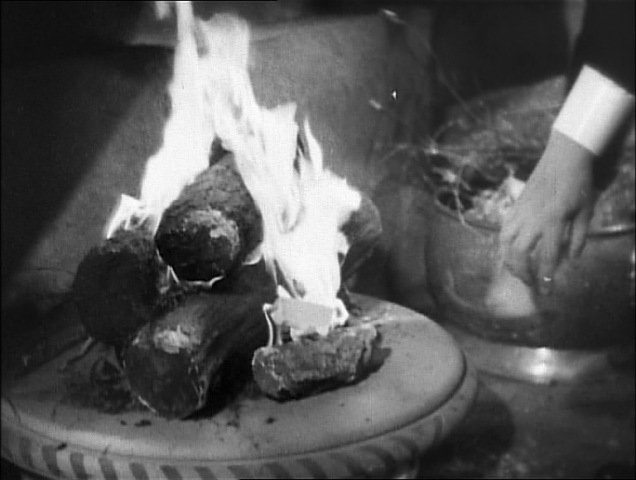 Woolf, the wet blanket who had tried to bury Hitchcock’s first three films during the mid-1920s (before they were rescued and released by Balcon), was still a major force at the studio. He was the man in charge when Balcon was away, and when Hitch finished The Man Who Knew Too Much, it happened to be one of those times. Woolf screened the movie and was appalled, calling in another director to shoot and insert new scenes. 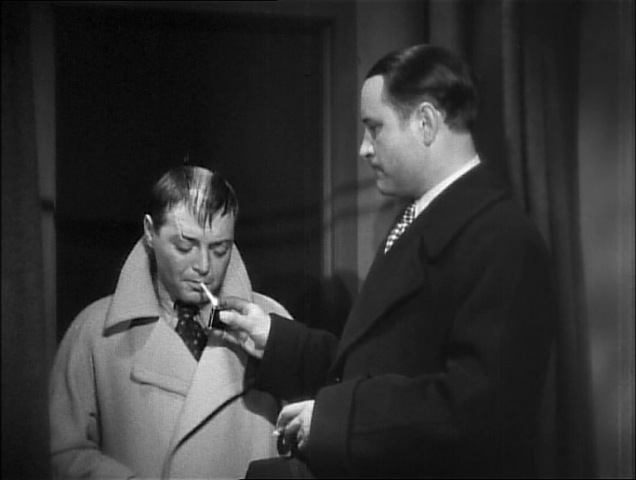 He also asked to see the script for Hitch’s next film, The 39 Steps, and declared it to be just as bad. 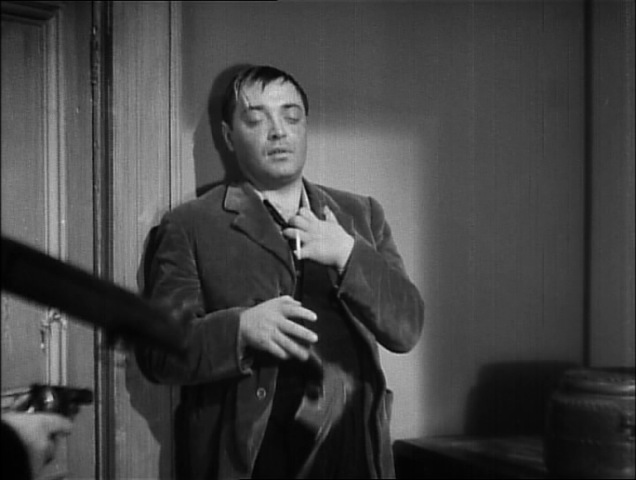 Instead, he assigned Hitch to make a musical biopic, such as Waltzes from Vienna had been. The director was beside himself for days, frantically sending telegrams in an effort to reach Balcon. 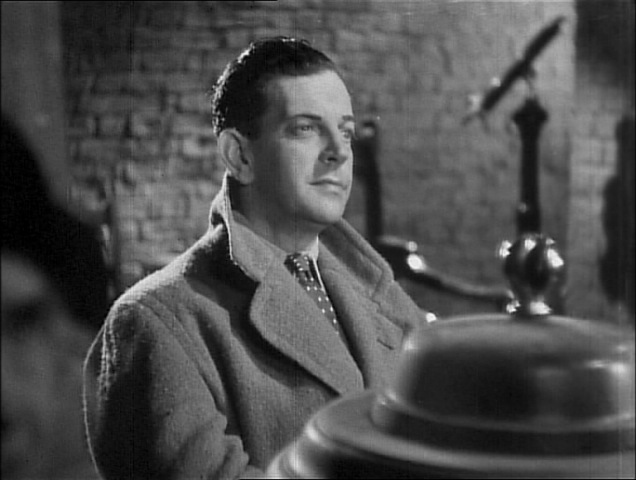 Meanwhile, Ivor Montagu, the film’s associate producer and a Hitchcock collaborator from the silent days, convinced Woolf that Balcon would be most displeased if he didn’t give The Man Who Knew Too Much a theatrical run. Woolf grumbled and reluctantly gave the movie a spot as the second-half of a double bill. It was, of course, a hit, much to Woolf’s disgust. Unfortunately for Hitchcock, most of the film’s revenue went to whatever was playing on the first half of the bill. Nevertheless, his work was a recognizable success and Balcon, when he was finally reached, overruled Woolf definitively. 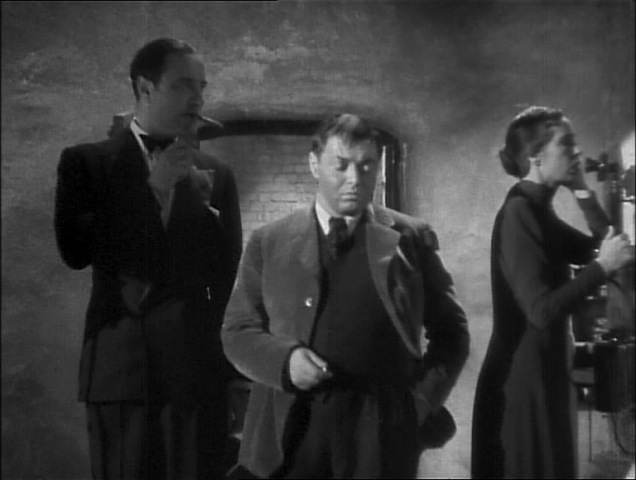 He put Hitchcock back to work on The 39 Steps and promised that, as long as he (Balcon) was in charge, Hitch would not be bothered again. ~ by Jared on April 9, 2008.